Let’s break the mold. We need to. Because if we don’t break the mold we will never advance. So every one, I want you to read along with me: We do not know everything about magnetism. There. Now don’t you feel better? I sure do. Now let’s forge ahead. Every one knows that passing copper wires or coils past magnets induces electricity. It’s how electricity is made. This is where our knowledge stops. Oh sure, we have mathematized every angle of this model and can tell you exactly how many copper wires to pass by exactly which magnets to give you an exact idea of how many volts and amps to expect. I mean, that is pretty smart. But it’s only based on this model. If we could find exactly what part of the magnet, or which property of the magnet that causes the electrical induction, then we might be able to come up with a completely different model. For example sake – lets say that a magnet has three wave types. If only one of the wave types is the one that induces electricity, then we really don’t need the other two types. In fact, ii’s been suggested by some scholars that the other two might even counter-react the good one, giving us lesser potency of electricity. So perhaps we don’t need to pass the “entire” magnet past the copper wires. Maybe we only need to get the good wave to pass by the wires on it’s own. That would mean that fossil fuels would no longer be needed to turn generators. The eco-system would be saved. And we could avoid pumping harmful carbon elements into the air. Wouldn’t that be a good thing? Why aren’t mainstream scientists studying this possibility then? I’ll tell you why. Because they believe the first model above is the only model. And because all mathematics coming from that model say that it can never produce more energy than it uses – it can never work. And that in general is why technology can become very, very slow moving forward. The scientists are confusing an old model with one we don’t have yet. So Overunity is indeed quite possible. It only requires the time and effort of someone to find it. And there are plenty of us out here trying to do just that. At the heart of the problem is the argument that the theorized dielectric inertial plane of the magnet does or does not exist or if it does exist some people don not think it is a single plain but multiple planes along the magnet. For those who don’t know it, the dielectric plane of the battery is considered to be in it’s approximate center, where waves from both poles meet to re-enter the magnet after having been expelled from the two poles. 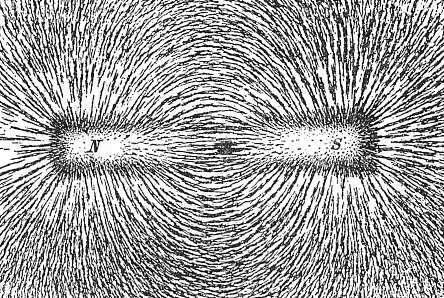 The iron filling picture below suggest that there is not a single plane, but thousands of them all along the edges of the magnet. You can see by the filings structure how the waves are re-entering the magnet all along it’s length. In fact, it appears that no waves are re-entering the magnet at the exact center, but just farther beyond. My thought is that it doesn’t matter where the inertial plane exists. We know that when the north pole of a magnet passes by a ferromagnetic metal – the plane moves. And it is that inertial plane moving that causes electricity. Not the movement of the entire magnet. So, in layman’s term it means that we need to learn how to move this plane without the need to move the entire magnet. Then we will have overunity. It’s really not rocket science. And it is definite proof that our current scholars and professionals working in the field of magnetics and electricity don’t have the foggiest idea of how magnets actually work. Because they were sold on the idea that the earlier model was the only one that will ever exist. One of the main traits of the average psychopath is that he believes that he is more intelligent than everyone around him. With recent polls showing Hillary Clinton leading the current presidential race by quite a majority I have suddenly become acutely aware that I am indeed smarter than quite a majority of other people – at least in my own country. I’ve long suspected such. Now there is confirmation. But isn’t that what a psychopath would say? And politics is not the only reason that I feel smarter than others. I can’t explain why either. It’s like just knowing that science is on the wrong path on many things. Most notably gravity and magnetism, which are two elements of a yet nondescript, undiscovered single thing. And it’s not quantum physics, but rather field physics that will eventually provide the answers to the magic of magnetism. Of course that’s a crude example and todays technology is a little bit more complicated than that – we’ve applied math to the two rocks for example to get the most spark for our buck, so to speak. Efficiency, you know. But we’re still stuck on the idea that we have to physically pass the two rocks past each other – the magnet rock and the copper rock – in order to get the spark. And that takes fuel to run the motors to constantly run these two rocks past one another in great big machines we call generators. But the entire premise is wrong. Some motion is required, but not that damn much. In fact, so little motion is required that the magnets/copper team could produce more energy than it takes to run its own generator, leaving extra electricity to use elsewhere. That’s called over-unity and it requires no fuels to run the generators. They (would) run themselves. I say “would” because over-unity hasn’t been discovered yet. Why has over-unity not been discovered? Two reasons: First, it’s due to our misunderstanding of magnetism and gravity. Second, our previous false science has create false rules, saying that over-unity is impossible. Therefore, many young scientists are told from the get-go that it is a futile effort and they should and will never seek to discover it. So its discovery is going to be a slow process, because every generation’s scientists are bull headed and think they know it all. (Yet if that were true then we would still be lighting fires with flint rocks and living in caves.) We don’t know it all. In fact, I’d estimate we barely know a hair’s fraction of it all. So who will discover over-unity? I hope it’s me. However there are far greater minded people than I working on it. Whoever eventually crashes that ceiling will understand that magnets work on fields, not particles. 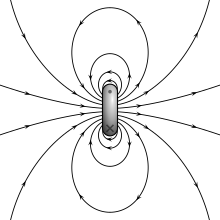 And that the dielectric band around the center of any magnet is what must move in order to create electricity, not the entire magnet itself nor the copper. So finding over-unity is as easy as discovering a way to move the dielectric band of a magnet without needing to move the magnet itself. I can tell you that we as a society are really close to that and this discovery, when it comes, will be the greatest one of all time – because we will have power with no need for fuel. We live in a box with invisible walls. With those who sneer at charity balls. And dance on rose petals. We choke on it – for it is god. as we robbed and stole his home. to feel his pain again.